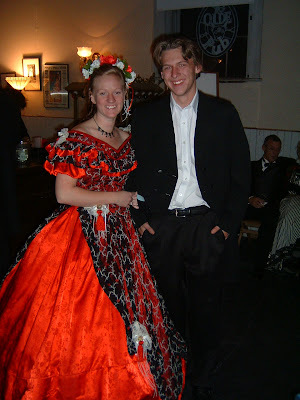 Every year, Piper's Opera House in Virginia City, NV holds a Governor's Ball. A rather large group of us went this year. 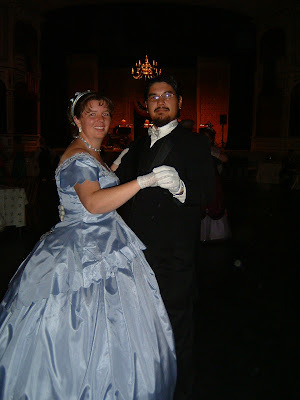 There were about 75 - 100 people at the ball, most in costume. It was a wonderful evening of fun, food, and dance. 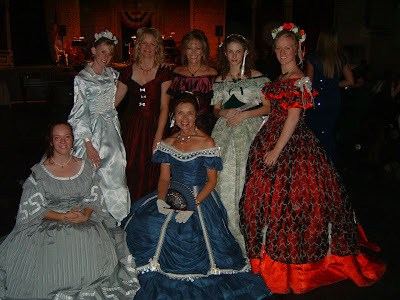 All the ladies in our group who were dressed in Yesteryear or Lady Carolyn's dresses. 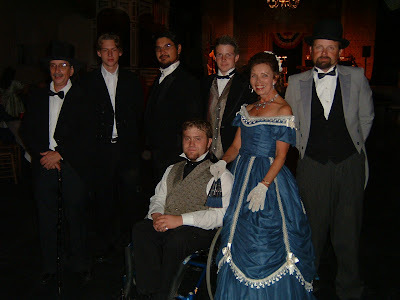 Lady Carolyn with all the gentlemen in our group who were dressed in Yesteryear or Lady Carolyn's outfits. Having fun - it's his first ball. 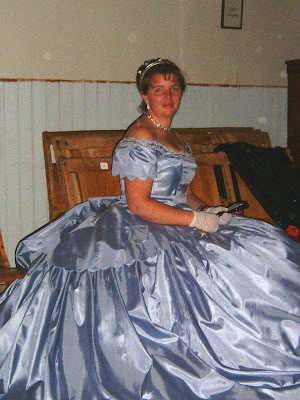 Lady Carpenter made her newest ball gown especially for this ball.